Dublin Simon Community has today (22 October) expressed deep concern and disappointment that only 22 modular homes are to be provided before Christmas. Reacting to Minister Kelly’s announcement, Sam McGuinness from the Dublin Simon Community said the Government’s response is failing to grasp and address the gravity and scale of the homeless and housing crisis, stating that 22 modular homes is insufficient to address the increasing number of children and families that are becoming homeless each month. “The number of modular homes proposed will not house the 637 families and 1,343 children that are in emergency accommodation and need homes right now. The Minister said that he hopes a further 128 units will be available by February through a fast-tracked procurement process. However is the scale of the crisis not so large that 150 units cannot be fast tracked before Christmas? This quite simply is too slow, too little and too late for families who are faced with long term emergency accommodation and a Christmas in a hotel room. 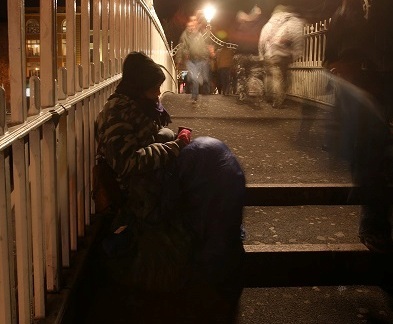 Sam McGuinness went on say that without adequate prevention measures, they predict that there will be an increase in the numbers in emergency accommodation, forced to spend this Christmas and New Year without a home. “The 22 units will have minimal impact as, without the provision of adequate rent certainty measures and an increase in rent supplement, there is nothing to curtail the ever rising flow of people into homelessness. Rent supplement limits are simply too low, as rents continue to soar in Dublin and the number of homes available to rent decreases.